I both give and get lots of advice on how to use technology effectively so I decided to try and capture some of them to share. 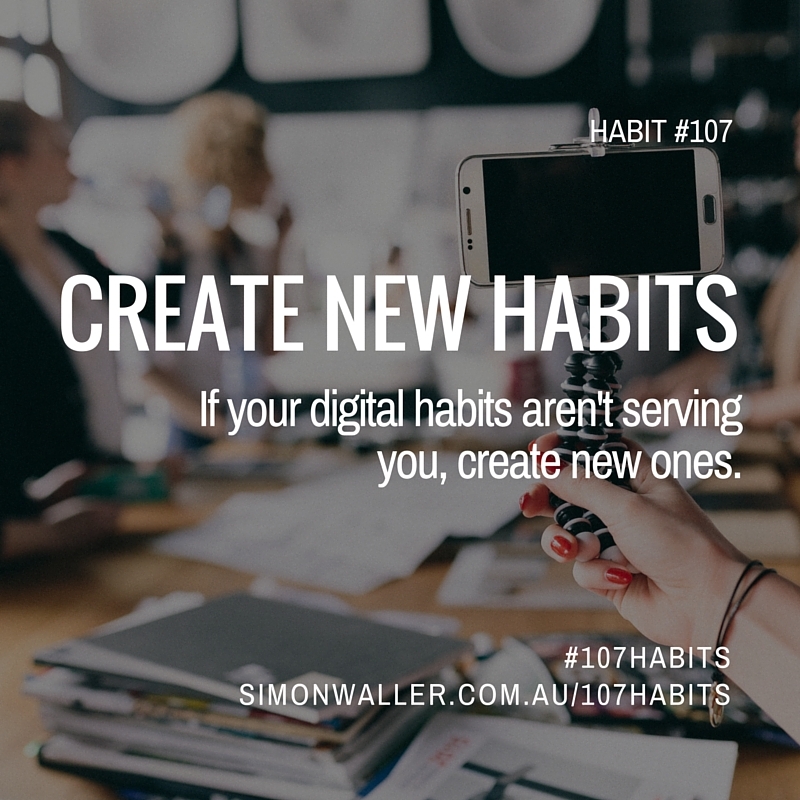 While there might be only seven habits of highly effective people it turns out there are well more than a hundred habits of highly effective technology use. My plan is to add two new habits a week for the next year or so. 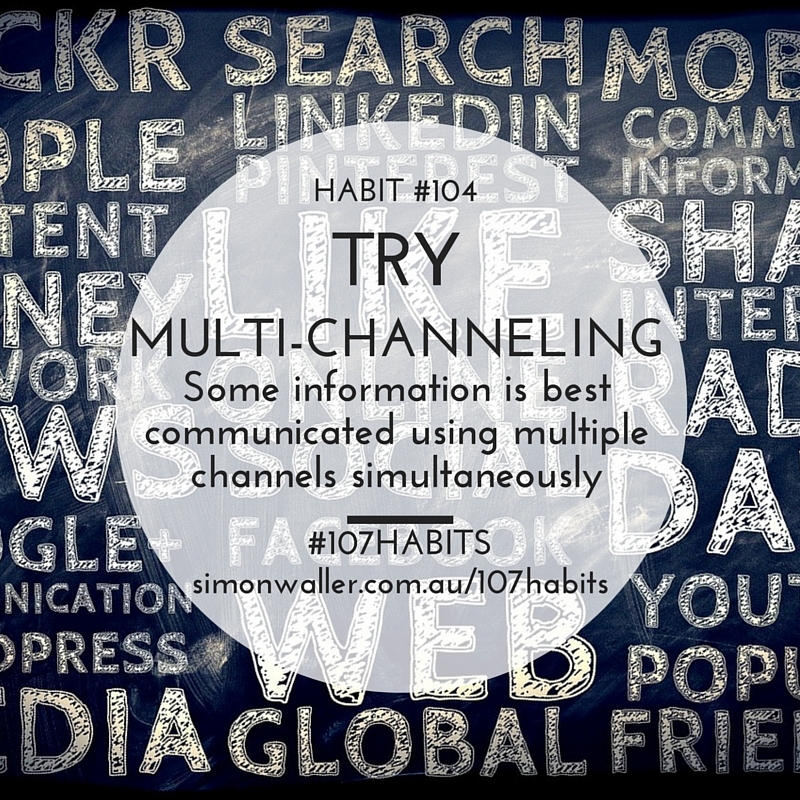 To make each of the habits easy to share I have made a little card that you can repost to Facebook, Twitter and LinkedIn. 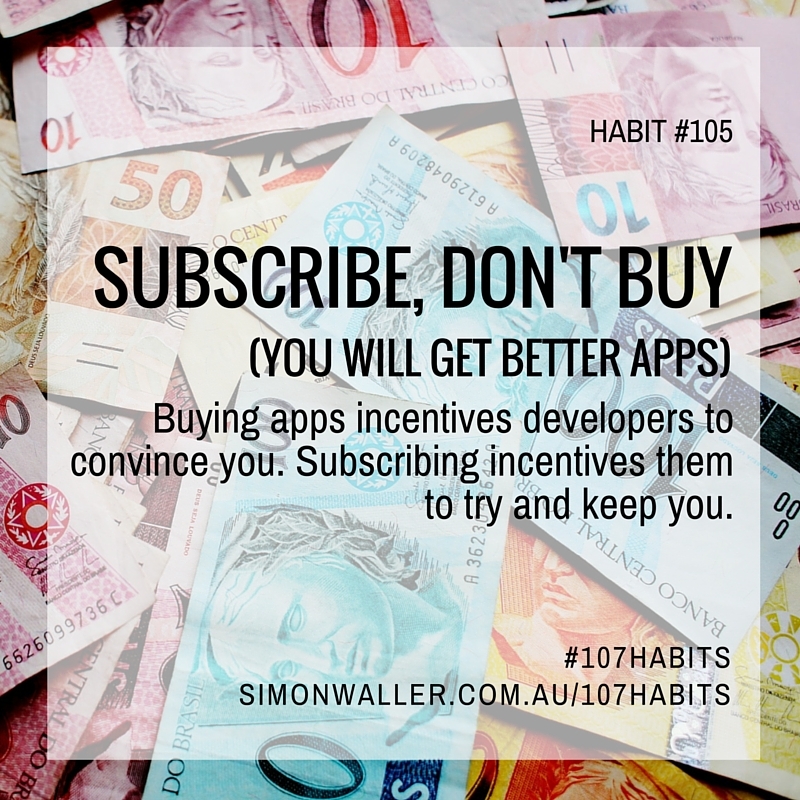 Or you might like to just email it to someone who is desperate need of some better technology habits! 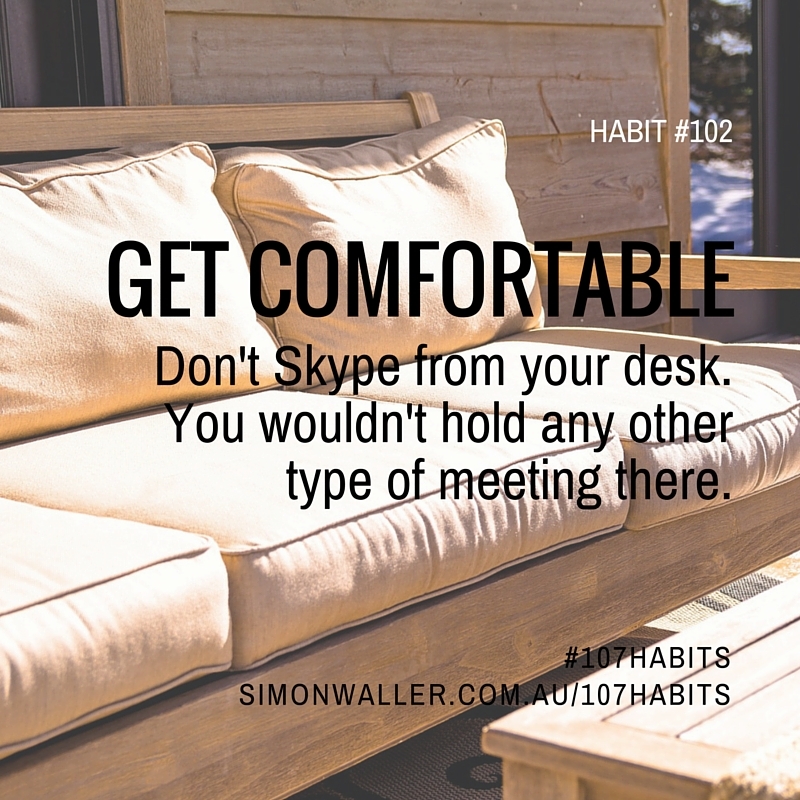 HAVE YOUR OWN HABITS TO SHARE? 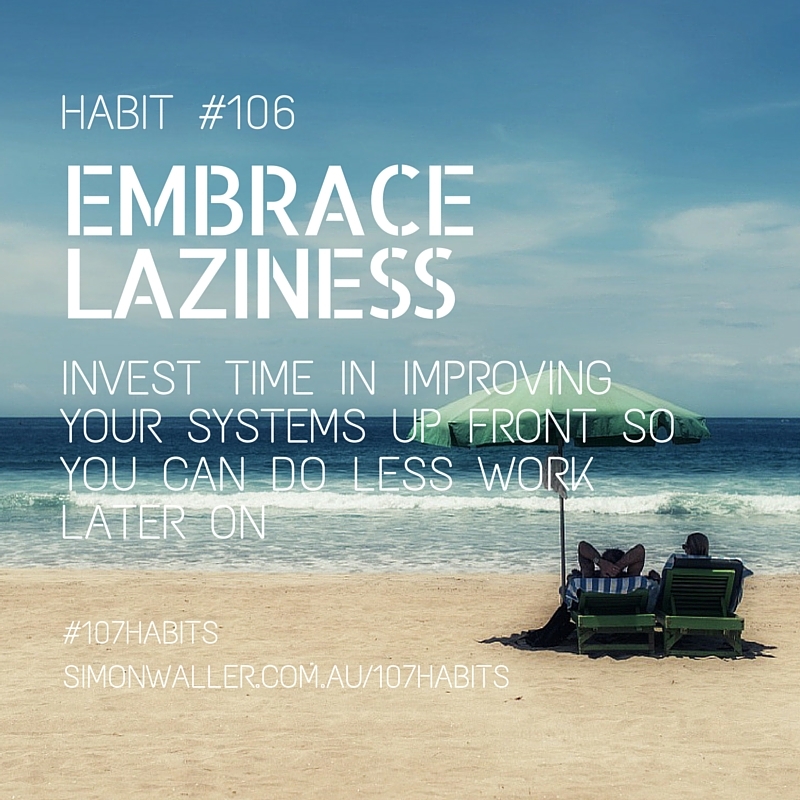 These are just my habits and I am sure that you have your own effective habits to share. Use the hashtag #107habits to on Twitter or Facebook or get in touch using the comments section below. 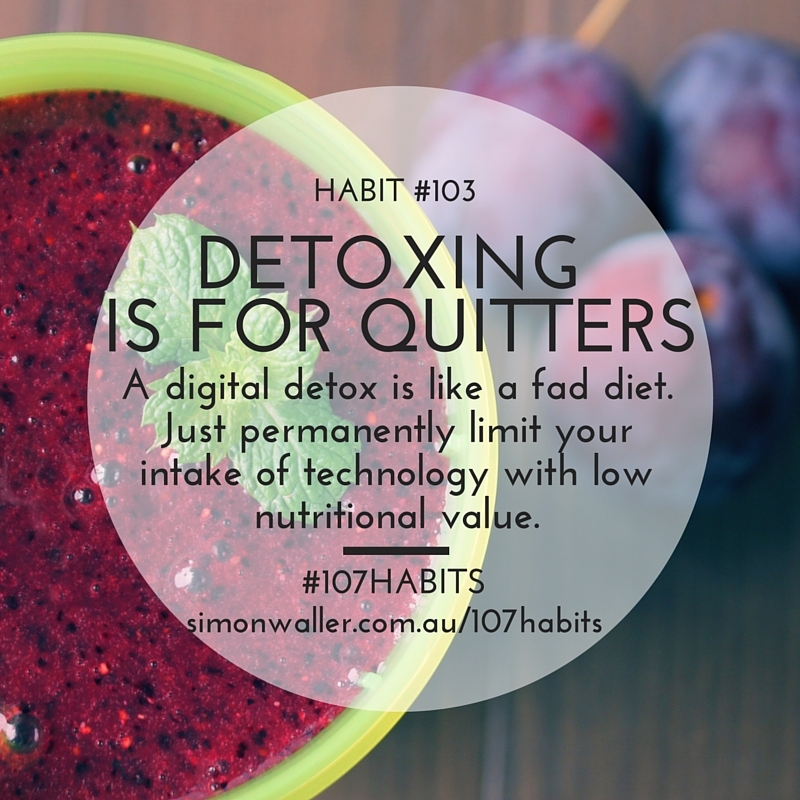 I CAN HELP YOU MAKE A HABIT OF DIGITAL EXCELLENCE. LET’S HAVE A CHAT ABOUT IT.